Skeptics of the heavy hand of government should turn their suspicious eyes to the latest handiwork of the European community and their unholy alliance of fiat money. That certain self-selected nations of Europe have embraced one currency would not be an adverse development if that one currency were backed with gold. In fact, that would be a rather healthy, enlightened thing to do. That the union merely combines various forms of diseased money merely means that Europe now has one currency with the same afflictions as its progenitors. That the currency will be managed by one central bank instead of several central banks simply means the policies of wealth destruction and wealth redistribution, the clumsy socialism of state-managed money, will be easier to implement. Surely, money buffs will miss the Irish punt, the Austrian shilling and the Dutch guilder. Europeans will surely miss them after the fresh-faced Euro is rendered progressively worth less and less by concerted expansion of the money supply by socialist governments who believe in the verity of Keynesian pump priming. As James Grant put it, "A global currency crisis is underway. Then again, (to provide historical context), it would almost be new if one weren't. Monetary upheaval is the way of the late 20th century" (Grant's Interest Rate Observer, July 17, 1998, page 4). He proceeded to name a short list: the multiple-devaluation crisis of 1949, the British pound crisis of 1967, the gold-convertibility crisis of 1971, the dollar-devaluation crisis of 1973, the general inflation crisis of the decade of the 1970s, the Mexican peso crisis of 1982, the dollar exchange crisis of the mid-1980s, the European Rate Mechanism crisis of 1992 and the Mexican peso crisis of 1994. Recent events have given us a fresh crop of new crises including the collapse of the Thai baht, the Indonesian rupiah, the South Korean won, the Brazilian real and the Russian ruble. I predict with certainty, that at some point in the not too distant future, we will be able to add the contrived Euro to that list. Grant wrote, "Governments, although not proficient at every task they set their hands to, have never failed to devalue their own currencies. They seem to have a knack for it." Indeed, the problems stem from the governments attempting to manage their currencies and failing as miserably as all governments past have failed when they attempted to manage any market price. More than a late 20th century phenomenon, I would argue that currency devaluation is part and parcel of the history of this country or any other where ham-fisted governments insist on meddling with money, which is and must be a market phenomenon. Late 18th century America struggled mightily with devaluation of its paper currency. Thomas Paine, in an essay entitled Attack on Paper Money Laws, assailed legal tender laws and the encroachment of the state in monetary affairs. "The fundamental principles of civil government are security of our rights and persons as freemen, and security of property. A tender law, therefore, cannot stand on principles of civil government, because it operates to take away a man's share of civil and natural freedom, and to render property insecure." Further back in history, the Romans struggled with emperors who resorted to all sorts of money depreciation. Even the Greek city states routinely debased their coinage. Medieval society suffered under the arbitrary power of kings that led to a seemingly continuous depreciation in the value of currency. The principles of sound money grew out these experiences. 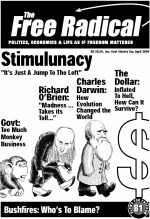 As Mises noted, "The postulate of sound money was first brought up as a response to the princely practice of debasing the coinage. It was later carefully elaborated and perfected in an age which — through the experience of the American continental currency, the paper money of the French Revolution and the British Restriction period — had learned what a government can do to a nation's currency system" (p. 454). Mises believed that sound money was an integral part of the classical liberal doctrine. He believed that, ideologically, a sound currency belonged in the same class as constitutions and bills of rights, all reactions against the arbitrary power of governments. In this essay I will point out specifically why the Euro will fail to be a sound currency and secondly, state the virtues of a return to sound money. Whole books have been written about the principles of sound money and I necessarily cannot but touch on a couple of their many ideas and detailed arguments in a summary fashion. One of the best remains The Theory of Money and Credit, by Ludwig von Mises. The basic principles of sound money have also been expertly explained in characteristically lucid fashion by Murray Rothbard in his book, What Has Government Done To Our Money? The quotations from either of these authors in this article are from these two marvelous books. I will not argue that the European monetary union will fail by resorting to such technical jargon as "asymmetric shocks" or "optimum currency areas", nor will I resort to simplistic equations purporting to tell us something about the qualitative, imprecise field of human action. My case against the Euro rests on one fact: that the Euro is not free-market money. The problem with the monetary union is simply that it combined eleven currencies from eleven nations — Belgium, Austria, France, Finland, Luxembourg, Ireland, Netherlands, Germany, Spain, Italy and Portugal - and placed the control of this currency into one governmental authority, the European Central Bank (ECB). Make no mistake, the ECB is a political institution, modeled after our own Federal Reserve Bank. Why should we believe that the ECB would somehow be different from past attempts by governments to deliver price stability? Why should we believe that the ECB will resist the temptation to recklessly expand the money supply? Rothbard warned against the formation of a worldwide central bank. In his book, Rothbard wrote about governments attempts to control money through the abandonment of the gold standard, a compulsory minting monopoly, legal tender laws, central banking and various international monetary architectures (Bretton Woods for example) that have attempted to stabilize the exchange rate of currencies between nations. What these measures have sought is to remove the checks of inflation and remove money from the sphere of the market. Rothbard presciently wrote, "The militant drive for a European paper currency issued by a European Central Bank seems on the verge of success. This goal is being sold to the gullible public by the fallacious claims that a free-trade European Economic Community necessarily requires an overarching European bureaucracy ... a European central bank and a paper unit." Rothbard warned that coordination with the Federal Reserve and other central banks would follow. This would further remove the checks and balances that the market instills on money even through floating exchange rates. Hans Sennholz, in an essay titled "In Search of Monetary Stability" (The Freeman, Feb. 1977), clearly saw through to the road for monetary stability. He recognized that money was not inherently stable, that it was subject to man's valuations just as any other economic good. There is no fixed value or fixed relationship of money to other goods. And yet, despite this inherent instability, Sennholz noted how well the precious metals had served mankind through the ages as a relatively stable medium of exchange. He wrote, "Man's hope for this monetary stability is his quest for government to abstain from monetary depreciation ... The only stable money, in the long-run, is the money of the market: It is non-political money. Real stability comes with the removal of government control over money." The many reasons advanced for a single monetary unit for Europe can be brushed aside with this one charge. Implementing one fiat currency managed by one government institution does not solve the problems of multiple government-managed fiat currencies. It does not solve the problems inherent in money controlled by government. In fact, the potential for concerted monetary expansion is very real. Even leftist Keynesian economist Paul Krugman recognized the dangers. Euroland as a whole has double-digit unemployment and slowing growth. "The actual situation as EMU begins, then, is nothing like what we all imagined. Instead of a situation in which some countries want tight money while others wanted a boost, the whole region is a prime candidate for lower interest rates — and all of the major governments agree that central bankers should imitate Alan Greenspan, loosen up and make every one happy" (Fortune, December 21, 1998 "The Plight of the Hapless EMU"). Several political changes in Europe bode ill for a dependable currency. In France, Socialist Lionel Jospin was elected in June 1998 and promised to reduce unemployment, most likely via inflationary measures. Germany's new Chancellor Gerhard Schroeder is also in favor of monetary expansion to solve Europe's unemployment problems. According to Krugman, Schroeder "has no patience with Maastricht ideology, which says that all good things come to those who have balanced budgets, sound money and free markets." Managed currencies such as the Euro will surely be subject to much political manipulation. Weak bureaucrats yielding to popular pressures for Keynesian style pump priming will gradually destroy the value of the Euro. Many will say this discussion is largely academic, since the chances of government abandoning their hold on the world's currencies are slim. Mainstream economists and monetary thinkers no longer entertain such thoughts. They seek rather to build a better architecture. These efforts will always lead to failure without the foundation of sound money. Sennholz again provides words of wisdom against this charge. He wrote, "The monetary theorist is bound by neither public opinion nor the trend in policy. His thoughts and deliberations are free to seek truth and pursue his ideals, even the dismantling of government power over money." Sennholz believed we should start with the repeal of legal tender laws, the banishment of central banks and a dissolution of the monopoly of the mint. The market will return to a metallic-based standard, likely gold, and the people's savings will be free from the persistent erosion of government-led money expansion. Mises wrote that the sound money principle has two aspects. It is affirmative in the sense that it preserves the market economy and it is negative in obviating an evil. "It is affirmative in approving the market's choice of a commonly-used medium of exchange. It is negative in obstructing the government's propensity to meddle with the currency system." The great virtue of a gold standard is that the purchasing power of money is determined independent of political pressures. Sound money, as Mises wrote, "still means today what it meant in the nineteenth century: the gold standard." Therefore, the nations of Europe would do better to back the value of their currencies 100% against their gold stock and honor that standard. Then all of Europe will have its common money. And the people of Europe will not have to worry about their governments stealing their savings and devaluing their currencies.